View our range of Somerville merchandise including bags, hoodies, cufflinfs and more. All items available online or can be purchased at the Somerville College Lodge. Please note that shop orders will only go through for requests made from the UK. Please email development.office@some.ox.ac.uk if you have any questions. 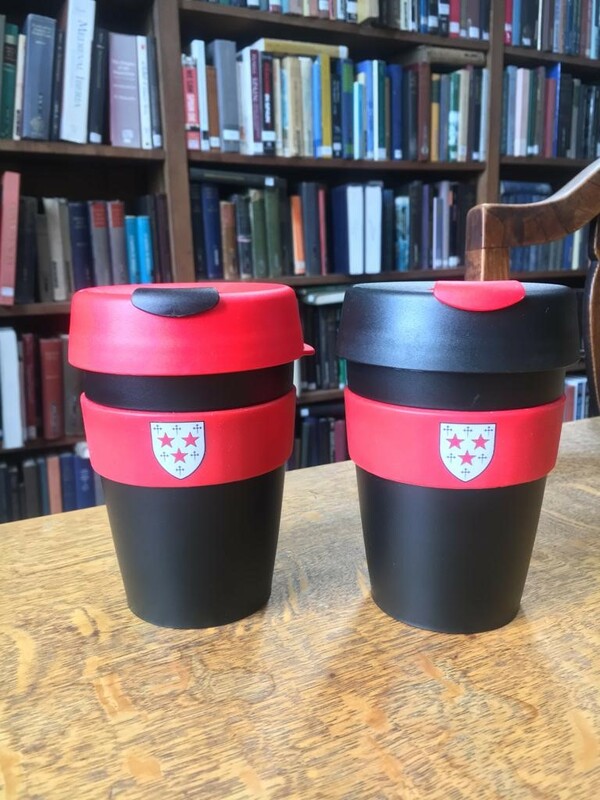 Reusable hot drinks cup with Somerville colours and crest. Medium sized KeepCup, holds 340ml, durable and made from non-toxic, BPA/BPS free plastic. Can be used in Somerville library!